Two of the nation’s favourite celebrity chefs are preparing to step up to the plate at this year’s Our Bury St Edmunds Food & Drink Festival in August. Nick Nairn who’s been a familiar face on our TV screens for nearly 25 years and Dean Edwards who became a household name cooking on ITV’s ‘Lorraine’ will both be making their first appearances at the free two day event over August Bank Holiday Sunday and Monday. They will each make three appearances in the Stoves Cookery Theatre, which will also showcase dishes from some of Bury’s favourite restaurants. Turning up the heat in the kitchen on Sunday August 25 is Nick Nairn, a champion of Scottish cuisine as a chef, cookery school owner and food campaigner. His TV credits include: ‘Ready Steady Cook’; ‘Wild Harvest’; ‘Great British Menu’ and ‘Saturday Kitchen’ as well as many more. His first restaurant saw him become Scotland’s youngest Michelin-starred chef in 1991. On Monday August 26 Dean Edwards will be donning his chef’s whites to entertain the Bank Holiday crowds. After coming second on ‘Masterchef Goes Large’ in 2006, Dean gave up his job as a digger driver to pursue a career involving cooking and food. With three cookbooks to his name, Dean has also featured on many of our most popular TV cookery shows including: ‘Take On The Takeaway’; ‘Market Kitchen’ and ‘The Big Eat’. 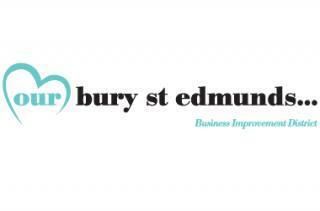 The free two-day event is organised by the town centre Business Improvement District (BID) organisation Our Bury St Edmunds. Chief Executive Mark Cordell said: “We are really looking forward to seeing Nick and Dean cook for the Festival this year and I hope they will both get a chance to see what a fabulous foodie destination Bury St Edmunds is. The Food & Drink Festival gets better every year but it’s the celebrity chefs in the Cookery Theatre that are the highlights of the menu. The Our Bury St Edmunds Food & Drink Festival will run from Sunday 25 to Monday 26 August and, as well as the shows in the cookery theatre, will feature a wide range of local produce stalls and foodie attractions for all the family. For more information visit www.ourburystedmunds.com/foodanddrinkfestival.